This activity is designed to be accessible to both GCSE and A-level maths students (Key Stage 4 and Key Stage 5), who can tackle it at different levels. One of the challenges in designing a football stadium is to make sure that spectators can see the event without their views being blocked by the spectators in front. 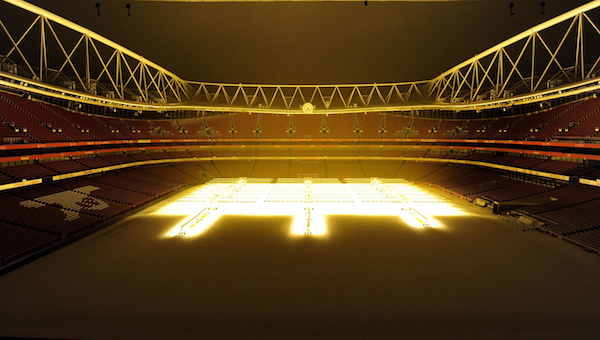 Imagine that you were one of the design team when the Emirates stadium was being built. 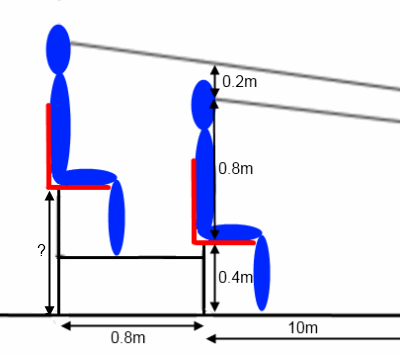 Your task is to design the tiered seating for the stadium.The back of each seat is 80cm behind the back of the seat in front, but raised up so that each row can see over the row in front. You can read more about some of the challenges involved in designing a sports venue, including some issues about seating, in our article How the Velodrome found its form , based on an interview with the structural engineers involved in the design team for the London 2012 Velodrome.